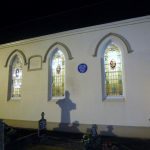 The Ulster History Circle received a very warm welcome to St. Brigid’s Church in Brocagh, Parish of Clonoe, Co. Tyrone where the Church was filled to capacity, eagerly awaiting the arrival of the new Archbishop, His Grace, Eamon Martin, Archbishop of Armagh and Primate of All Ireland. 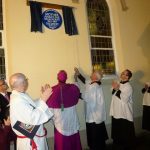 A Blue Plaque to commemorate Brocagh’s noblest daughter, Brigid Teresa McCrory, now Mother Angeline, was sponsored by Sean Henry and the Brocagh Heritage Group. 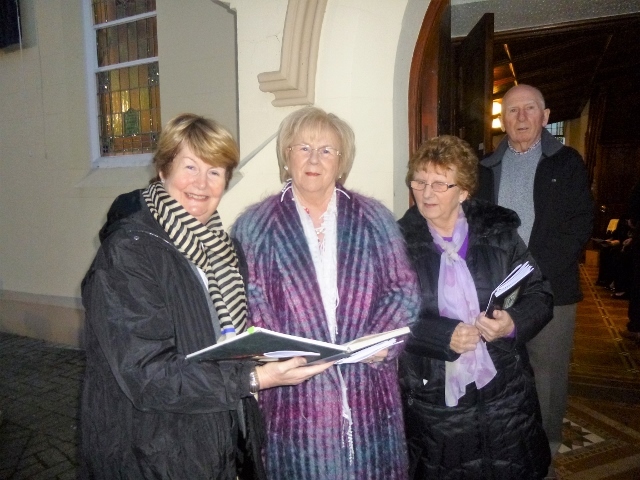 The Ulster History Circle were delighted to have Brigid’s name brought to their attention. 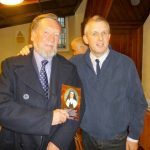 Sweetest Saint of Erin’s Isle’…..
On his first visit to Clonoe Parish since taking over the helm in Armagh, the Most Rev. 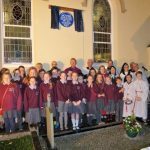 Eamon Martin gave the Homily, followed by the children from P7 at the local St. Brigid’s Primary School who enthralled everyone with a drama on Mother Angeline. 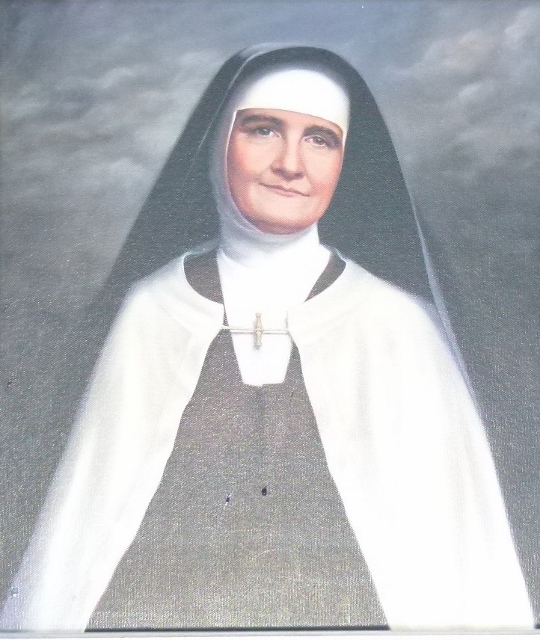 The Archbishop then blessed the new Shrine in her honour. 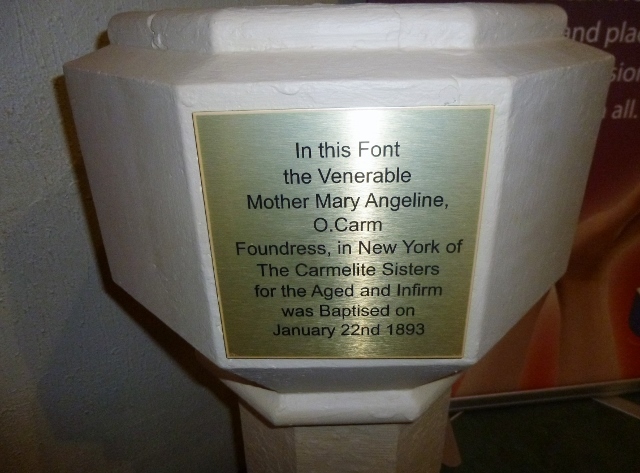 From the land and the Church of your Baptism’……. 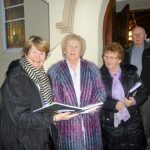 Everyone then left the Brocagh Church and travelled to the nearby Castlebay Centre, for refreshments and further tributes. A very memorable unveiling in Co. Tyrone. 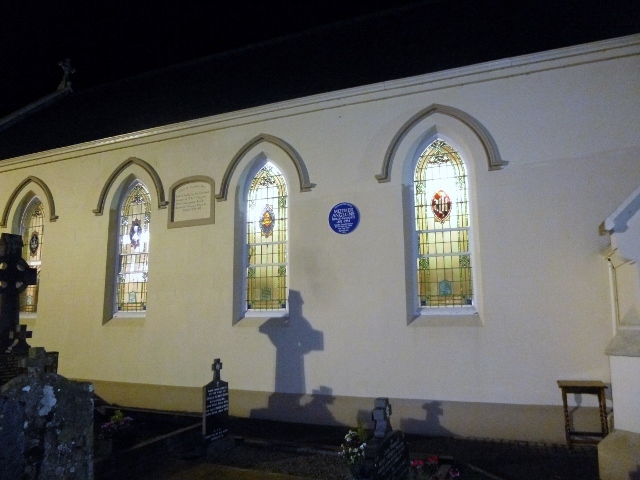 St.Brigid’s Church and the Blue Plaque in late evening. Mairead Ferguson, Ulster History Circle treasurer, welcomes guests to the unveiling. 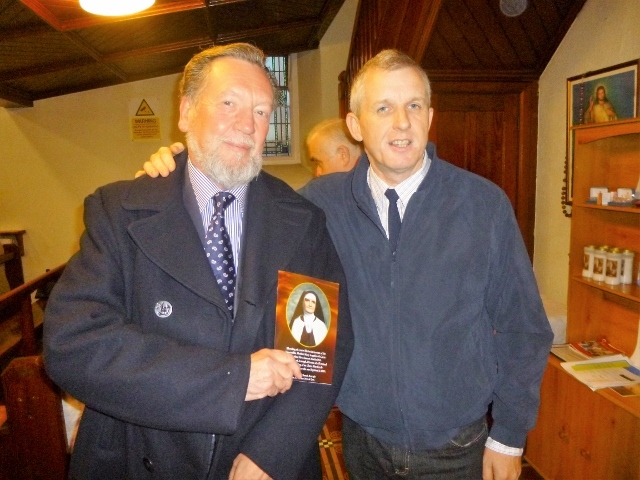 Chris Spurr, Chairman Ulster History Circle with Sean Henry, Brocagh Heritage Group. 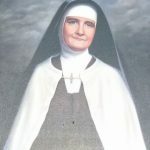 Most Rev. Eamon Martin D.D. 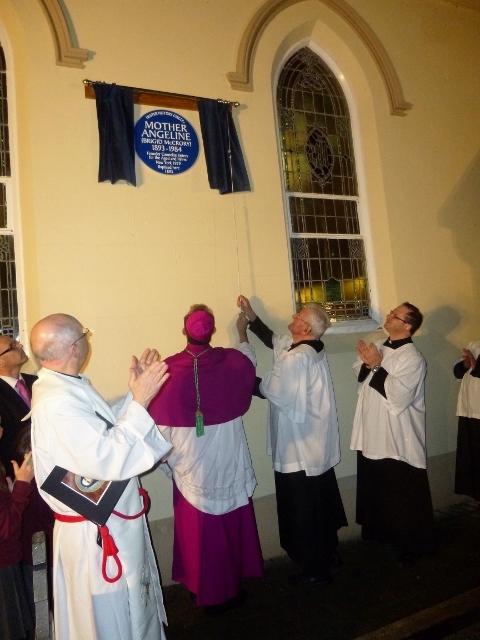 Archbishop of Armagh unveils the Blue Plaque, watched by Father Benny Fee and colleagues. 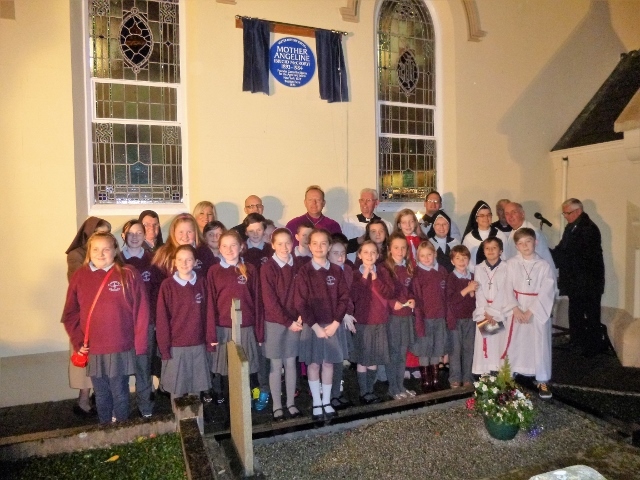 The children of St. Brigid’s Primary School, Brocagh, the Carmelite Sisters of the Aged and Infirm and visiting Sisters, Michelle O’Neill, Minister for Agriculture and Rural Development, the Archbishop of Armagh, Eamon Martin, Father Fee and local clergy, after the unveiling. 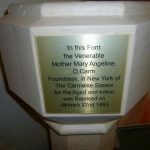 The font inside St. Brigid’s Church in which Brigid Teresa McCrory (Mother Angeline) was baptised.